With CM14 ROM, you will be able to enjoy the best and latest of Google’s Android 7.0 Nougat including hidden easter egg cats and CM14 features not found on stock Nougat firmwares. First, you will get AudioFX that comes with CM14 like before so you can easily tweak your bass and change your equalizer to your liking. Second, you will still be able to enjoy native OnePlus One features like on-screen navigation buttons while disabling hardware ones. Third, you get flawless Screen recording and sound recording out of the box, which may be useful for gaming YouTubers and for your voice-overs on the go. Performance is also excellent, I was able to score near 60K on Antutu and real life performance is great too while playing games. Battery life is also improved due to Android Nougat’s new features. Best of all, camera works flawless out of the box, you will be able to enjoy your 4K DCI or UHD video recording just fine as before. For photos, you will get extra features like ability to adjust saturation, sharpness, exposure, and much more. Overall, CM14 on the OnePlus One is the most flawless experience I have seen so far apart from my Nexus 6P so highly recommended even though this isn’t even an official version. 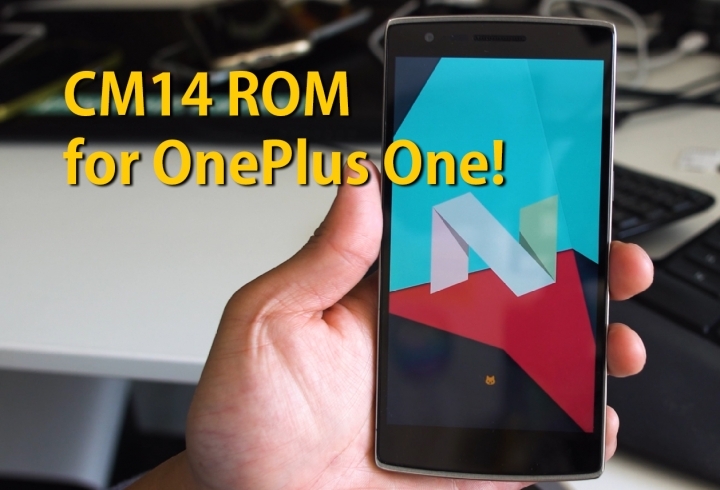 If you have OnePlus One, definitely give this guy a test drive this week(end) and do let me know what you think! Installation is easy and same as any other ROM. Reboot into TWRP, do a factory reset, install ROM, install Gapps, and reboot. Wait a few minutes and boom, you will be on CM14! Grab Pixel Launcher APK, this is the launcher that new Google Pixel smartphones will come with. So far so good, brother! Cheers! also how to get feeds (google now cards) working on leak pixel launcher? Max, So I guess you won’t get security patches every month with this! ?